Developed for those who want the visual impact and heat of a flaming log fire without the inconvenience of carrying logs and removing ash, the Riva2 800 Edge offers high efficiency in a frameless gas fire. The frameless look allows you to create a more minimalist décor, choosing tiles or wall colours and finishes to maximise the overall impression of dimension and space. 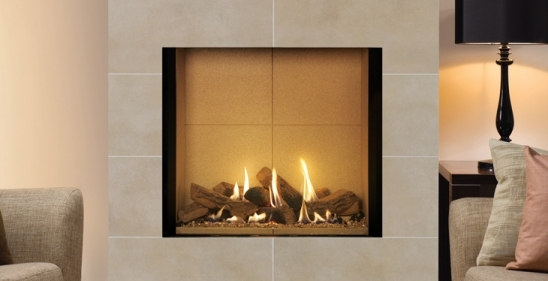 Gazco offers a range of fireplace surround packages to go with the Riva2 Edge gas fire. The Riva2 800 Edge gas fire is available as a balanced flue fire only; however, they can be installed into a conventional chimney by using the optional Riva2 renovation kit.